If you are turning 65 you will be qualified for Medicare. It is one of the few perks you get as you age. No matter what your health status you can get Medicare just because you are turning 65! If you are not receiving Social Security you need to contact Social Security 90 days before you turn 65, in order to avoid possible penalties or delays in your health coverage. The Centers for Medicare and & Medicaid Services or CMS provides protection for seniors from unethical sales agents who may say they want to talk to you about Medicare, but then switch to another insurance product. If you are not currently a client of Bancorp Insurance, we will not call you to sell you a Medicare Supplement, Advantage, or Drug plans. If you want to talk to one of our Medicare Professionals you must make the contact and call us. We are prohibited by law to call you. If you attend one of our sales events we will not call you to follow up on that event unless you gave us express written permission at the event for a follow-up call. Express permission is given when you fill out a scope of appointment form. The scope of appointment form also outlines what you want to talk about. Therefore, if you want information on a Medicare Supplemental Plan and nothing else, that is what we will talk to you about. Without your written permission we are not allowed to talk to you about anything else other then what you want to know about during that appointment. Of course, if you tell us you wish to know about another product this agency sells we will be happy to talk to you about it at another time and only with your express permission. If you call our office and ask to specifically talk to someone about Medicare and our Medicare staff is unavailable, we will return your call. Medicare Part A is your hospitalization coverage. If you have worked you will get Medicare Part A free of charge when you sign up for your Social Security. However, if you decide to delay your Social Security until you are older you can still get Medicare Part A. Even if you decide to delay your Social Security payout, or you are currently insured under an employer’s plan you should still look into signing up for Medicare Part A when you turn 65, so you are not tagged with a penalty for not signing up on or 90 days prior to your 65th birthday. 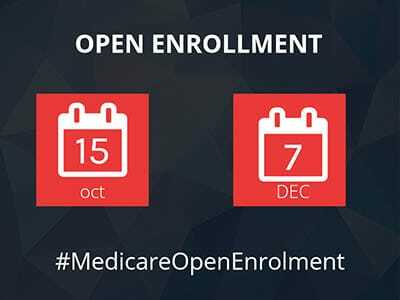 Yep for every year you delay in signing up for Medicare Part A you will be assessed a penalty added to your Medicare Part A premium a month for the rest of your life. This is not a one time penalty. It pays you to sign up for Medicare Part A on your or before your 65th birthday regardless if your collect your Social Security now or later. Medicare allows you to see any provider that accepts Medicare. Medicare helps cover doctors’ and other health care providers’, durable medical equipment, and home health care. It helps cover some preventive service to help maintain your health and to keep certain illnesses from getting worse. However, Medicare generally does not provide coverage outside of the USA. If you are traveling outside of the states you should buy Temporary Medical Coverage for travelers. Even if you are still working and on your employer’s health insurance plan, you will want to check out Medicare. Often Medicare could give you more coverage for less premium and out of pocket expense. You will not know that unless you price out your Medicare versus your employers plan. Turning 65 is an excellent time to shop for the right health plan for you. Medicare Part D helps cover the costs of prescription drugs. Again you want to sign up for part D when you turn 65 because like Part B if you do not sign up you may be penalized with a higher premium for as long as you are enrolled in a Part D prescription plan, which could be for the rest of your life. Medicare Part C offers health plan options run by Medicare-approved private insurance companies. Medicare Advantage Plans are a way to get the benefits and services covered under Part A and Part B. Most Medicare Advantage Plans cover Medicare prescription drug coverage (Part D). Some Medicare Advantage Plans may include extra benefits for an extra cost. Medicare supplements are offered by private insurance companies separate from Medicare. Normally, Medicare will be billed first and your supplemental plan will be billed second. Supplemental plans can pay your 20% cost sharing of Medicare Part B approved charges and some plans will pay the additional charges up to 15% over approved charges. The Birthday Rule simply means you can shop and compare Medicare Supplemental plans with several different insurers on your birthday. Why is the birthday rule something to get excited about? It means that starting on your birthday up to 30 days after your birthday you can change plans without going through underwriting. Any preexisting conditions do not count since the policies are guaranteed issue. Many of our customers have saved $100s of dollars off the price of their Medicare Supplement Insurance just by shopping for a better price for the same exact coverage. If you have questions how the birthday rule can help you, give Patti Starkey, Cheri Martinen, or Valerie Best a call at 800-452-6826.